I wish there wasn't a break in the middle of the podcast. it's really disruptive. To support this ministry financially, visit: https://www.oneplace.com/donate/222/29 Dominion is a word you dont hear a lot in everyday conversation, but its the name of an often-misunderstood biblical concept Dr. Tony Evans is going to discuss. Dont miss this look at the mission God has given to men and the resources hell provide to carry it out. To support this ministry financially, visit: https://www.oneplace.com/donate/222/29 The one reason that men dont use the spiritual authority God gave them is that they dont understand the covering over them. In this lesson, Dr. Tony Evans will uncover how the Bible defines that term and how it connects us with Gods guidance and power. To support this ministry financially, visit: https://www.oneplace.com/donate/222/29 Connecting men with the leadership power God has given them requires a clear understanding of who we are and who we arent. In this lesson, Dr. Tony Evans will discuss both as he explains why exercising Gods authority begins by learning to submit to it. To support this ministry financially, visit: https://www.oneplace.com/donate/222/29 Men grow up in a series of hoods - babyhood, boyhood, manhood but making it all the way to biblical manhood takes a certain kind of growing that Dr. Tony Evans wants you to know about. Find out why our future depends on men finding the strength to be godly leaders. To support this ministry financially, visit: https://www.oneplace.com/donate/222/29 Who decides what it means to be a real man? Too often, we leave that job to the people who write action movies or TV shows. 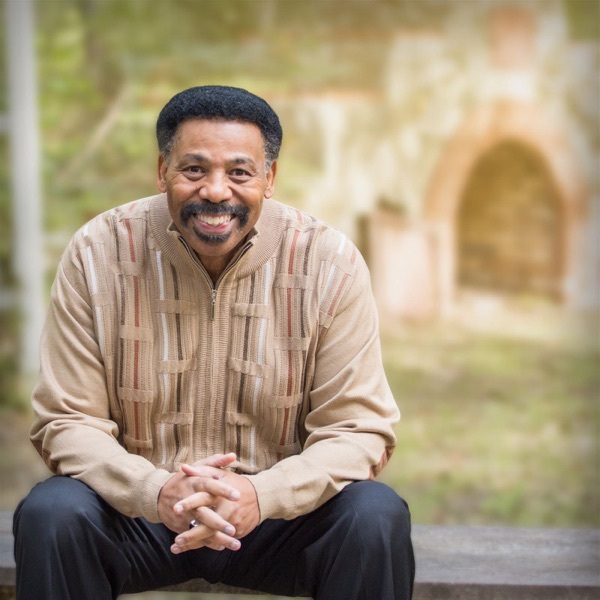 But in this lesson, Dr. Tony Evans will explore the biblical model of manhood. To support this ministry financially, visit: https://www.oneplace.com/donate/222/29 The very idea of masculinity these days is thought of as (at best) outdated and (at worst) downright evil. But in this lesson, Dr. Tony Evans will redefine the term from a biblical perspective and explain why its a vital ingredient in Gods recipe for humanity. To support this ministry financially, visit: https://www.oneplace.com/donate/222/29 Theres an old song about people who need people being lucky. But Dr. Tony Evans says that its possible to need them too much and become so intent on pleasing others that we stop pleasing God. In this lesson, hell explain how we can satisfy our need for approval and acceptance in a healthier way. To support this ministry financially, visit: https://www.oneplace.com/donate/222/29 Our emotions can take us high or lay us low. But when youve been down so long that you cant get up, Dr. Tony Evans says you may be dealing with a stronghold. Join him in this lesson as he talks about how to break free from feelings that have been holding you captive. To support this ministry financially, visit: https://www.oneplace.com/donate/222/29 When you take stock of what's going on in your life, Dr. Tony Evans says that your perception depends on your perspective. In this lesson, hell explain how we can see life from a more peaceful point of view as he takes a look at the benefits of adding focus to your faith. To support this ministry financially, visit: https://www.oneplace.com/donate/222/29 Christians experience emotional pain just like anybody else. But Dr. Tony Evans says that sometimes, were just better at hiding it. Discover how God can heal those hurts and meet our emotional needs in healthy ways. To support this ministry financially, visit: https://www.oneplace.com/donate/222/29 We all feel afraid from time to time; that's natural. But in this lesson, Dr. Tony Evans will talk about how to keep moving forward in faitheven when fear tries to stop us in our tracks.